Are you interested in becoming a sponsor or better still, adopting a piece of fine piggy art to raise funds for fragile babies around the country? Involves the sponsorship & purchase/ownership of an individual pig. Imagine such a unique piece of collectable art in a company Entrance hall, Reception area or Boardroom with a custom made plaque bearing the company name, logo and 25 word overview affixed to the plinths of the exhibit they have sponsored and purchased. Cost €5000. 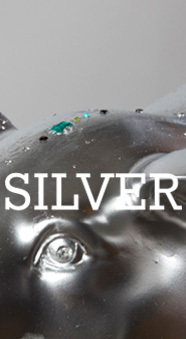 The “Silver Option” is in essence an opportunity to buyout the chosen Pig. This however is only applicable to the Pigs that “ARE NOT” designated a “Golden Pig” – these are the guys that get to go to the Gala Dinner and have people Bid on them in a live auction. 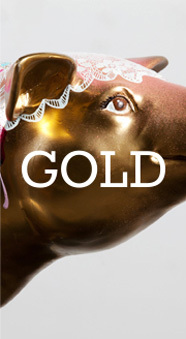 The Golden Pigs will be chosen by a selection panel (in Jan 2015) as the best examples that will generate significant interest from art buyers, collectors and investors who will in turn make significant bids on the Piggy Fine Art at the Gala Dinner to benefit the work undertaken by the Jack and Jill Children’s Foundation. • Inclusion in all earned, social media outreach materials. It sees the sponsor selecting a pig from the presentation catalogue, applying their name, logo and 25 word overview to the Pig Plinth Plaque but they “WILL NOT” take ownership of the individual pig. Cost €3000.